After trying Carnita’s at a local Mexican Restaurant. We craved them so much, that we came up with our own Carnitas recipe. Which was so easy and fun to make. 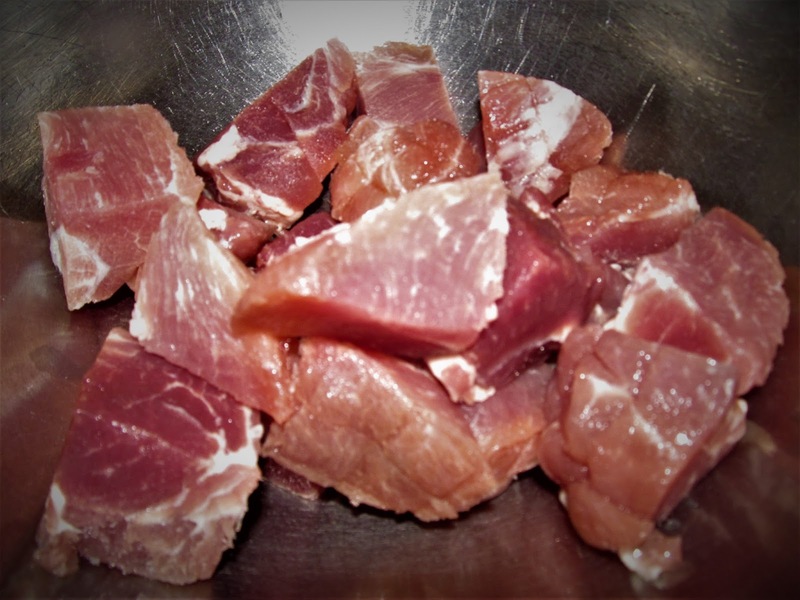 – Cut meat into chunks. 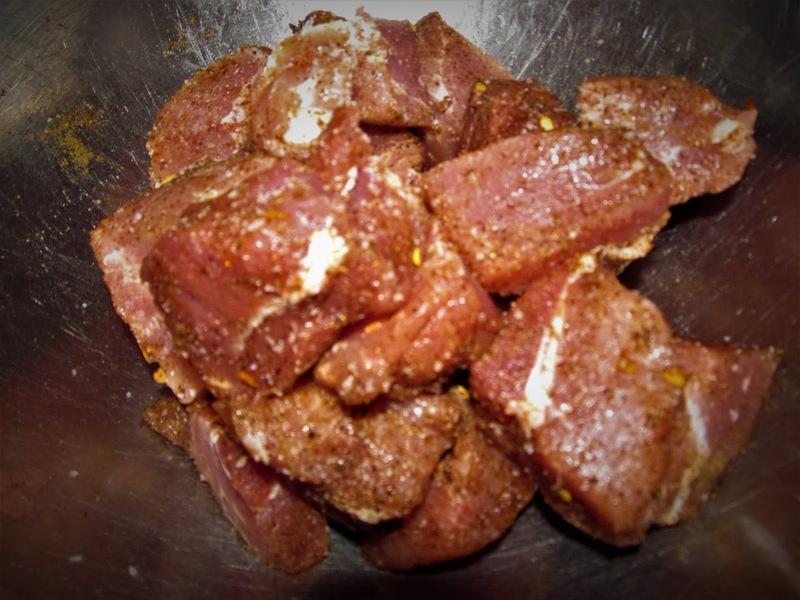 – Place in large bowl, Add salt Garlic Powder, and pepper. 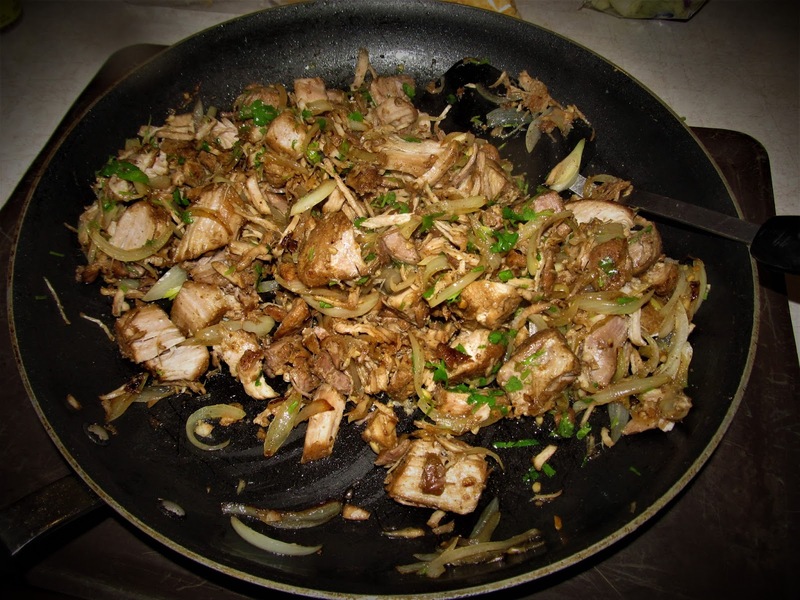 – Mix the pork and few spices. 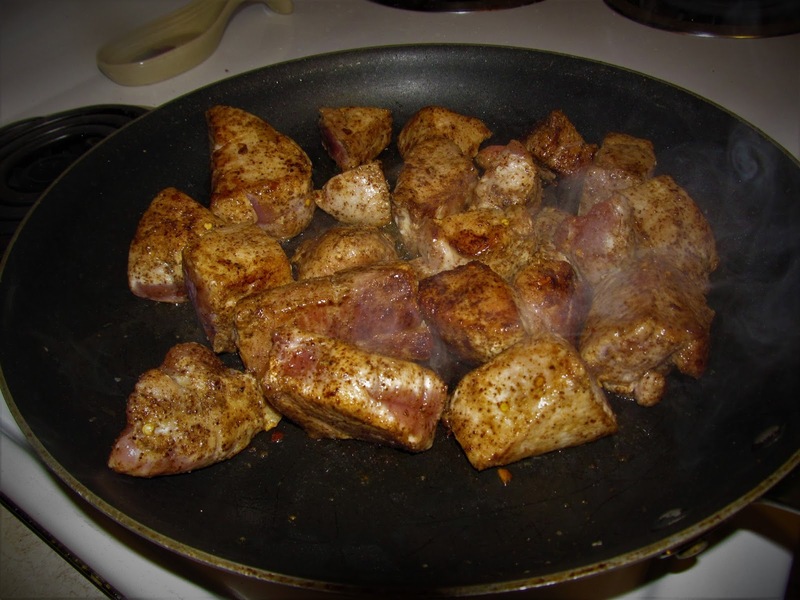 – Sear the pork until Browned. – While waiting for pork to finish searing. Prepare the slow cooker with broth and beer and the rest of the dry ingredients. 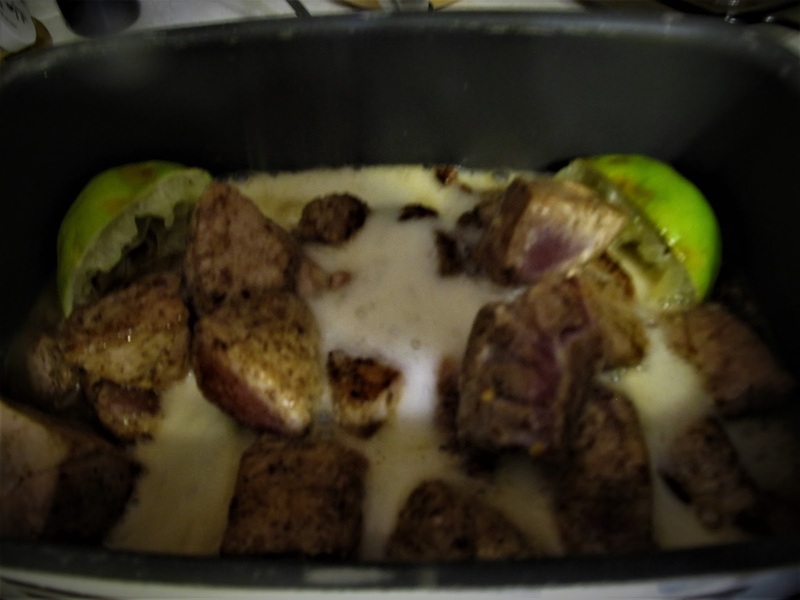 – Add the pork to slow cooker. – Cook on high for an hour. – After an hour, turn heat down to medium heat. And let cook for 3 hours. – An hour before serving you want to add Seared slivered onions. – You can also add in cilantro too. It is optional. 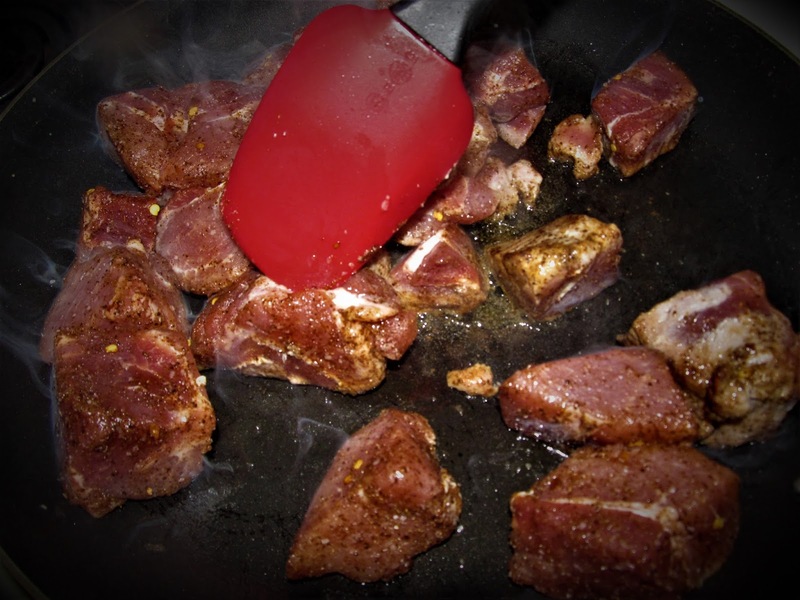 – After 3 hours, take a fork and shred the meat. 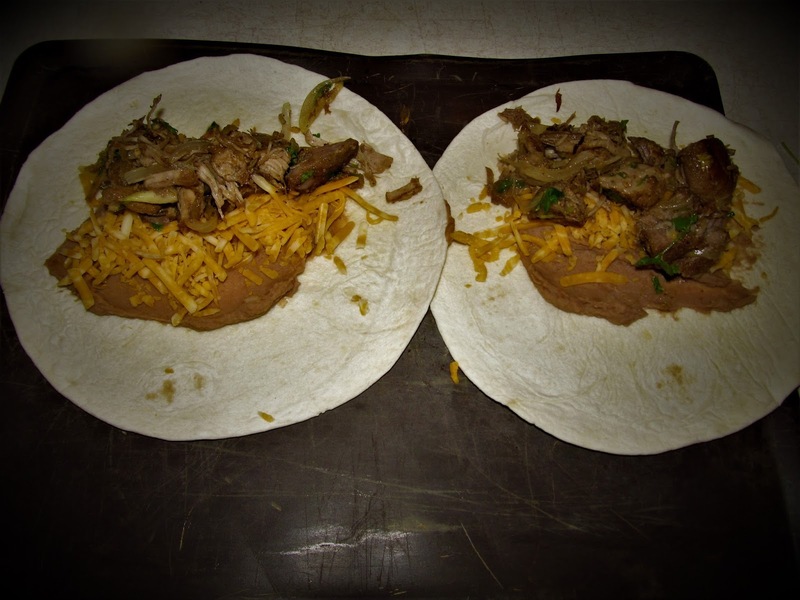 – Take tortilla shell and place 1 Tbsp of refried beans, add cheese, and 3 Tbsp of the carnita’s filling. – Fold like you would burrito and once all of the Carnita’s are done, place on cookie sheet and bake for 10 minutes, to allow cheese to melt. 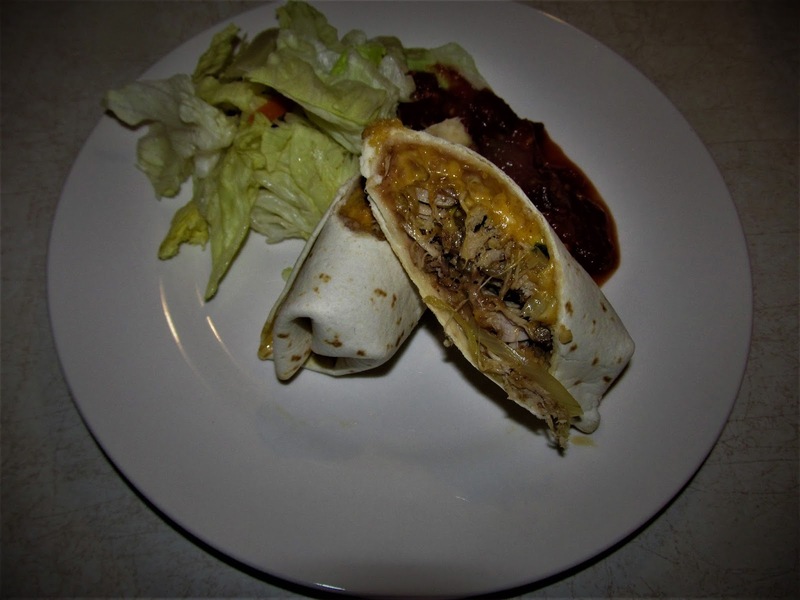 – Serve with a bit of lettuce and Salsa on the side. I wish that there would have been leftovers for lunch. Goes well with Spanish Rice. What would other great Add-ins be? Looks delish!!! I would have added Mushrooms to mine…I think I know what I’m having for supper now!!! Let me know what you think? Thats a great idea, and maybe next time for the other two, I am unfortunately allergic to mushrooms. Oh no, I love mushrooms. I can’t have banana’s and I love Bananas! Looks yummy, but I have no patience for slow cookers. I want to eat NOW, not tomorrow. I know I have missed chatting with you. Always tend to put a smile on this face. Well you could put into oven dish with a little water and let cook one hour. Then you could have it. I definitely don’t make your life easier with all my questions and rants. So thanks for putting up with that. That oven variation is definitely worth considering. Thanks! Hello. I don’t mind at all. In fact I look forward to your posts. I do enjoy your questions, believe me when I say you are not alone. Pork is one of my fav meats. Will definitely add this to my to-do.